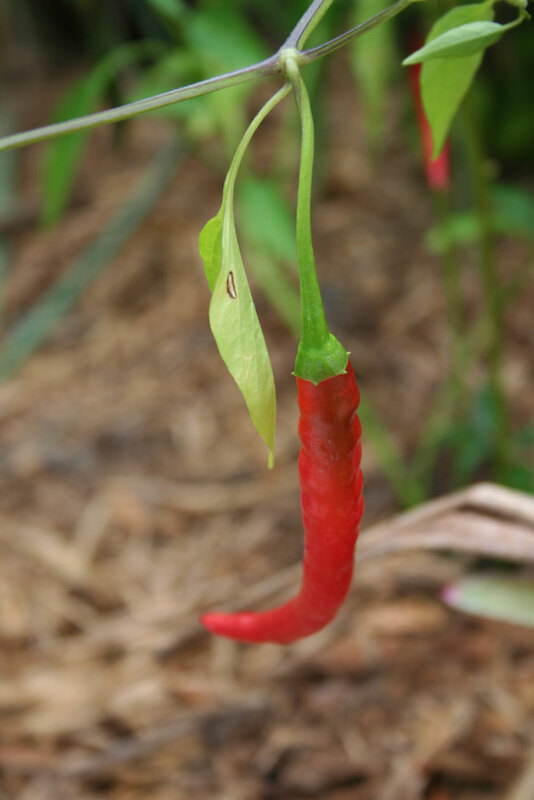 The Rainforest Garden: Some Thai Spices You Can Grow! Some Thai Spices You Can Grow! Make that Southeast Asian for that matter, since Thai is only one manifestation of these wonderful cuisines! For the most part, the plants I've included are suitable for growing in warm climates such as zones 8-11, but you're only really limited in your enthusiasm. Regardless of where you live, put a tropical spin on a plain jane herb garden, and give your cooking a kick! An important element of Southeast Asian cooking is the harmonious union of sweet, sour, salty and hot flavors, and sweet elements like fruit are even used like spices to impart a tangy or sweet note to dishes. This post is about spices, but if you want to try growing some fruits for thai cooking, try lychee, rambutan, pitaya (dragonfruit), pomelo, tamarind and bananas. You can even use the flower of the banana as a vegetable! "Kung Pao" Chili in the garden. The hotter the better! Even if you don't like your food too spicy, peppers are great for balancing the other flavors in a dish to make it exciting and harmonious. Pictured to the left is "Kung Pao", and other varieties include the "Bird's Eye Chilies" like the appropriately named "Thai Hot", which are just slightly cooler on the Scoville scale than the Habanero. The habanero makes an appropriate substitute, since its much more common at the grocery stores. You can get away with using just one or a few slices of the habanero in a dish, so don't overdo it! You can grow them much like their relatives, the tomatoes. Give them full sun, good water and protect from frost. Try growing them in containers and bring them in on cold nights! 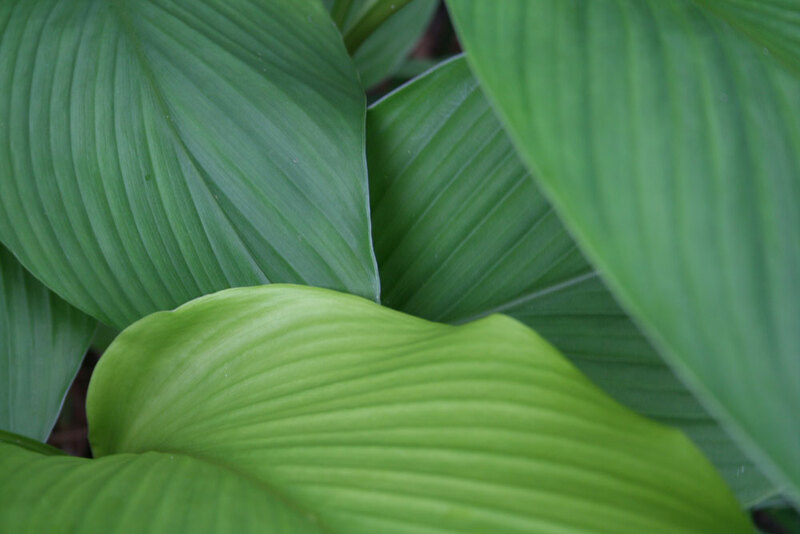 Zingiber Officinale is in the same genus as the ornamental shampoo ginger, and also related to other gingers in the garden. 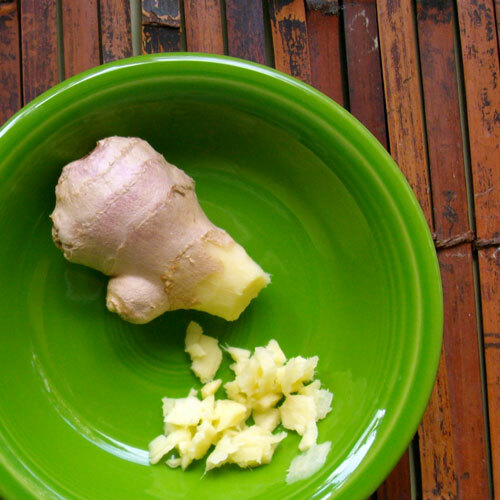 Ginger adds a pungent, nutty flavor to food, relieves nausea, and makes a wonderful tea. Grow in full sun to part shade, well drained soil, and keep the soil moist. You can actually plant the roots you get at the grocery store. 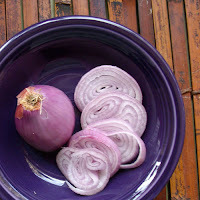 Thai shallots are more of a pinkish color than the one pictured, and have a stronger flavor. However, common store bought shallots work just fine and seem to be a nice middle ground between garlic and onions. Grow as you would onions, and in warm areas like Florida these are best grown in the cool season. Related to citronella, this incredibly useful herb adds an aromatic citrus quality to curries and soups but without the tartness of a lime or lemon. Harvest the stalks when they've gotten thick, and use the base in the same way you would garlic, by crushing, chopping or bruising to release the oils. Use the stalks for stirfries and flavoring your meat and seafood, and use the bruised leaves for a light and fragrant tea, removing the leaves when finished. This makes an excellent architectural ornamental in the landscape and even comes back from freezes through zone 8. I know, citrus is a fruit! But it is often used as an herb or spice to add tangy flavor to food, especially limes. Pomelos are also popular in southeast Asia, and are best served with some spices and salt. Try it! 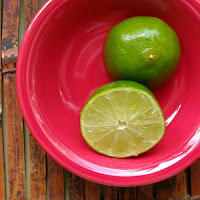 The kafir lime's leaves are an essential element to flavor meals, and lemon or lime zest makes an acceptable substitute. You can also try the leaves of rangpur lime, which is a gross between the mandarin and lime. If you live where it freezes, rangpur lime is probably your best bet since the tangerine parentage helps it to survive harsh winters. Another member of the big family of gingers, this one is great for curries, and is what gives them that distinct rich yellow color. They're used to color all sorts of products, edible and inedible and were even used as a substitute for saffron! To use the rhizome, dry in the sun or oven and make a powder of the dried root. In the garden these look lush and beautiful, and the leaves reach over five feet tall. Give them lots of water in the growing season, and leave them in the ground where the ground doesn't freeze. I divide them and get a bigger crop every year! Delicate inflorescences bloom in tones of green, white and pink with little yellow flowers peeking out of the bracts. 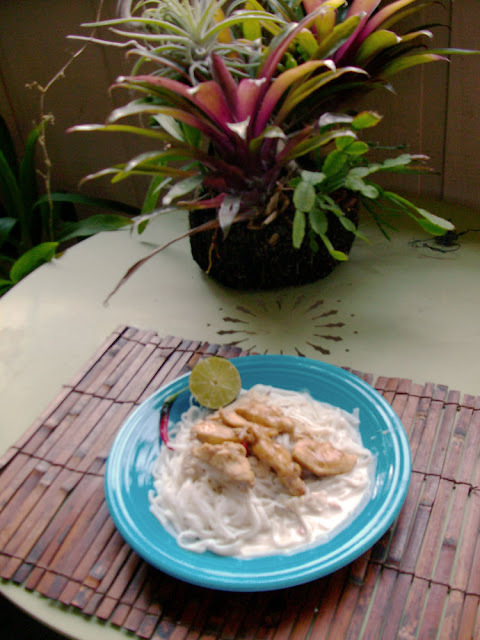 Heres the result of the aforementioned herbs and spices, put to use on chicken and rice noodles! It was dee-lish! 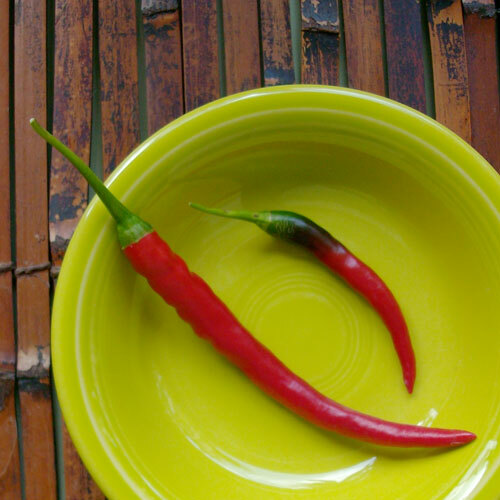 I used to grow chilli pepper, ginger and turmeric. Your garden looks good. I liked the final verdict of thai spices too. 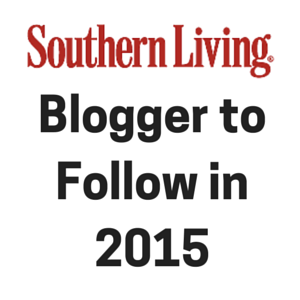 Not only is this a very informative and useful post but it's beautifully styled too! Better than any magazine spread I've seen lately! And you made me quite hungry. Excellent post! I realize now that my ginger garden is lacking Turmeric! I love the bamboo mats and the colorful dishes. Sorry, I can't identify your Vresia. Beautiful photographs, Rainforest! Magazine worthy, I think. I can see that cooking is another hobby of yours. And I now have a new idea. Lemongrass is growing wild on Six Acres.... Hmmmm.... I wonder if it would take over my yard if I planted some. Yum! I just got a start of lemongrass so maybe I'm on my way to Thai cooking! Your meal presentation is beautiful. Love the container garden. very well done post, and with a wonderful looking dish at the end! I find it very satisfying to use parts of the plants growing in my garden to enhance dishes I make. 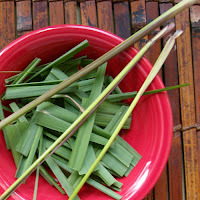 Lemongrass leaves ae great for getting the compost going if you get too many, and also a great mulch. OK...you got me! At first, I thought, "oh, I don't like hot spicy food" but then I saw the herbs and spices you were talking about...the citrus, lemongrass (YUM), turmeric, ginger...gotta love it! And the end result looks delightful!! This is truly a wonderful blog. Congratulations and thank you. I wish I could taste that dish. The blend of all those wonderful spices makes my mouth water. Thanks for the great info. So many times I would like to experiment with some of these but am not sure what to do with them. Love your presentations, too! 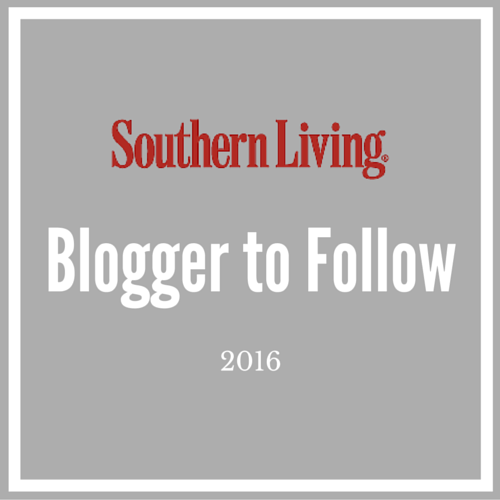 Swathi: Thanks! I'm new to the ginger and chili, but the turmeric is one of the most prolific plants in the garden. danger garden: I'm glad I made you hungry! Shooting the "editorial" photos was really fun thanks to my patient fiance's fiesta ware. Grower Jim: I'm glad you liked it! Turmeric is great even if you just grow it for looks. The flowers are great in arrangements too. Floridagirl: Are you sure its lemongrass? It doesn't usually spread too much (It clumps) and rarely seeds... but if it really is, be sure to try it! Its the most useful grass you'll grow! 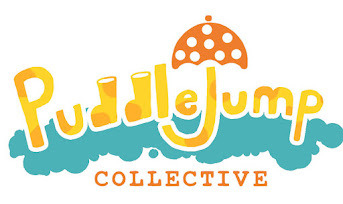 Julie: Sounds like a yummy backyard! Be sure to ask her for some next time you need some tea. The broms are actually mounted on a chunk of treefern trunk along with epiphytic gingers and orchids. No soil! NanaK: I'm glad you liked the presentation. You will absolutely love the lemongrass. It ill die down in a freeze but return in spring, just leave the dead leaves til it does. Noel: If only I lived closer to the garden! At least I can bring them back from gardening trips. africanaussie: I didn't know that about the compost, but I guess it is a grass after all! I'll have to remember that when it dies back in winter. Kimberly: Don't be too afraid of a little heat! The other elements are great for balancing it out! Tanamera Kayu Ara Spa: Glad you like it, and I just saw your beautiful website too! I love the subtle pattern and vintage photos. Very inspiring. Susan: You know how I started cooking Southeast Asian? I got a bunch of spices and I played with them a little every time I cooked. Eventually I researched cookbooks and food literature on the region, and learned about all of the spices too. I still just play around til it tastes right though. All these are the must ingredients for a good curry! You have a nice looking lemon grass there. They can make nice drinks also. Your enthusiasm in growing these herbs amazes me! Oh that chicken dish... I know it's yummy! Now you have gotten me thinking of chicken curry. I am going to have some curry next week he he... but I have to go buy the ingredients. Sadly I don't have these plants in my garden although they will definitely grow well here. I grow all those delicious spice plants. Ginger is also very tasty in cucumber salad or coleslaw or even lettuce. I usually cut a little piece of ginger and squeeze it through my garlic press. 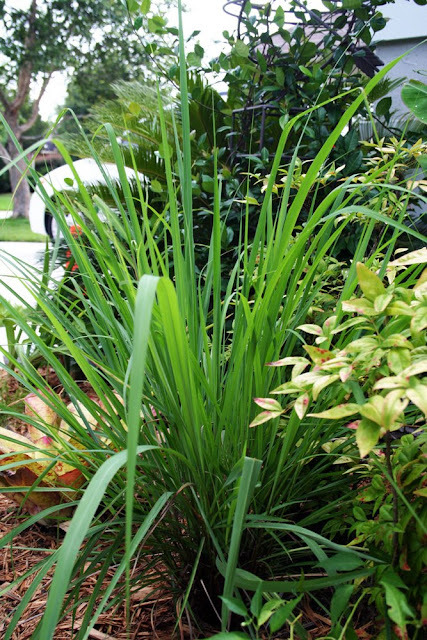 I also like the look of lemongrass as a plant in the garden. It is great to be able to grow all these plants to use in cooking. Your dish looks delicious and I am sure it tastes like it to. I like all the pictures of spice and herbs you have taken, they look very oriental. Have a good spicy meal - Im sure you will enjoy it. Here in my region - having this type of Asian cuisine is a daily affair. 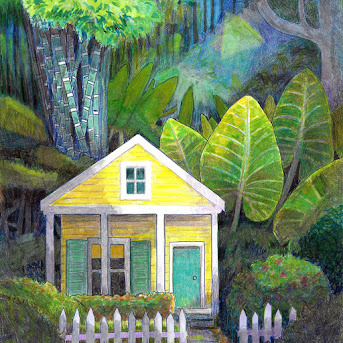 Cooking, gardening and painting, have something in common. Oh yum. Wish I have your chilli, mine's all pretty but no bite. I must find one of yours. I went to the nursery yesterday to get a chilli plant, something with a bit of bite. I remember your post but I could only find jalapeno and firecracker. I bought firecracker; the tag says "hot" but by whose standard... oh well, fingers crossed. 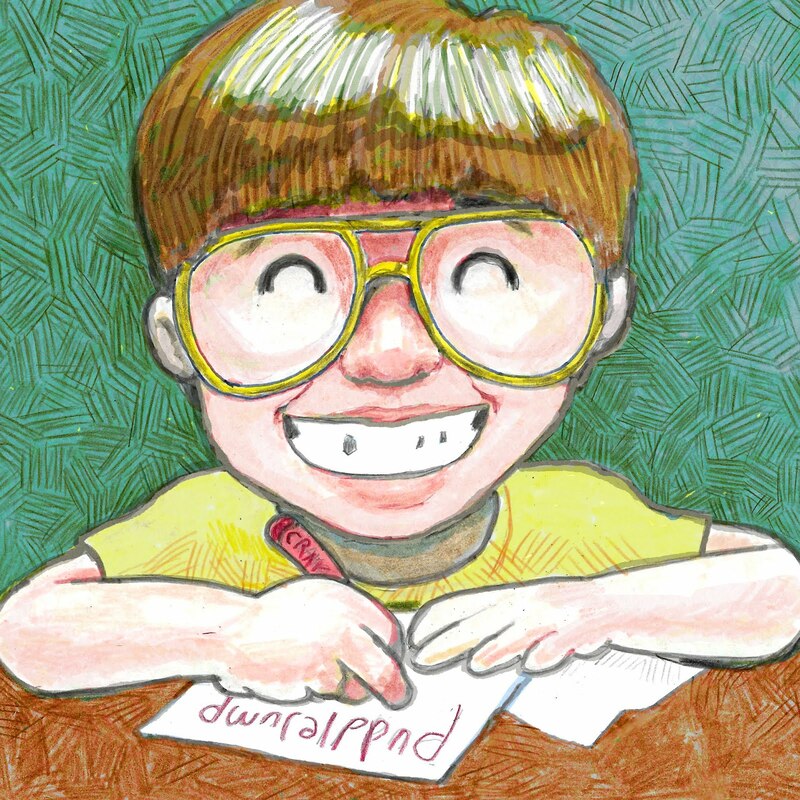 I looked up your firecracker and am sharing a link! It looks like it actually is pretty spicy. I recently found someone who sells Thai Papayas (the green kind for salads) and thai basil so I'll have some more to add this next spring! Awesome, Steve. I eat a lot of Thai food so this is great. Def. want to try turmeric! Turmeric is such a tough plant that it grows like a weed for me. It goes dormant in winter, so you don't even have to worry about protection other than maybe mulching! Thanks for visiting!